'Black Panther' star Danai Gurira has traveled to Zimbabwe to join a campaign aimed at protecting rhinos from poachers. “Black Panther” star Danai Gurira has travelled to Zimbabwe to join a campaign aimed at protecting rhinos from poachers. The WildAid conservation group says Gurira, who mostly grew up in Zimbabwe, is participating in a publicity campaign called “Poaching Steals From Us All” that will run across Africa. 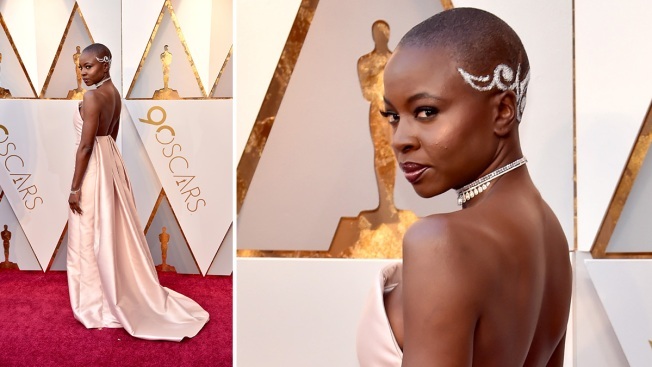 Gurira appears in an anti-poaching video that opens with a scene from the “Black Panther” movie in which her character, Okoye, steps in front of a charging rhino that abruptly stops and licks her cheek. “We’re losing our heritage and an important attraction for our tourism industry,” Gurira says. She urges people to report wildlife crime.